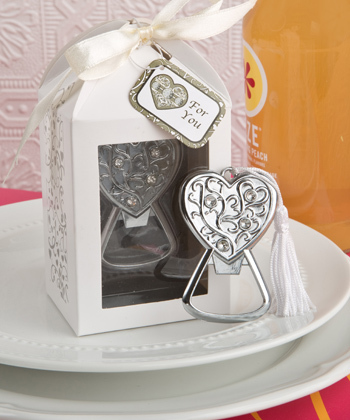 Looking for a favor that is sure to provide the "wow factor" when your guests see them? With this Fashioncraft exclusive, the actual favor is just the beginning of the wow. That's because the amazing packaging is a wow in itself. And, we're sure the compliments will flow as soon as your guests get a look! Uniquely packaged in an ivory box with a scroll design on the side in the shape of a bird cage with a clear acetate display window front.